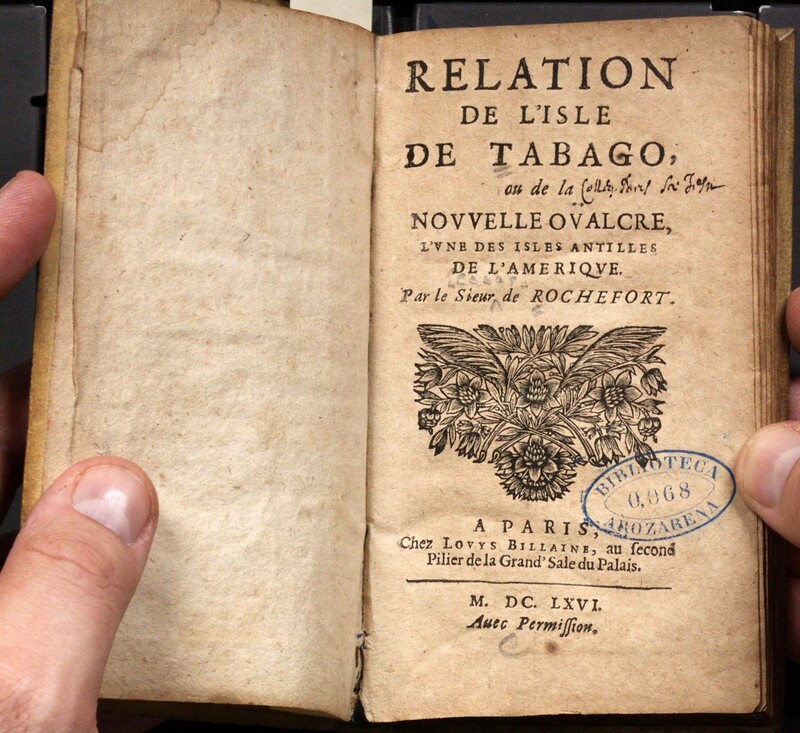 That the Watkinson library has hidden treasures in its stacks is accepted lore at Trinity, but it is always a delight to discover that we own an unusual item from an interested 3rd party! 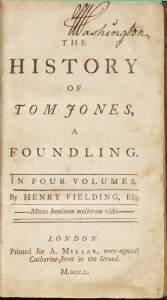 Such was the case with Henry Fielding’s The History of Tom Jones: A Foundling, a book owned by George Washington when he was a young man. The library received a request last spring from the Mt. 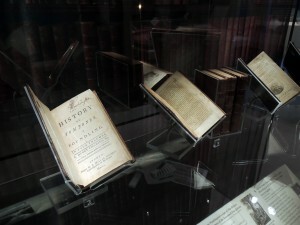 Vernon museum in Virginia to borrow Washington’s copy of Tom Jones for the exhibition “Take Note! 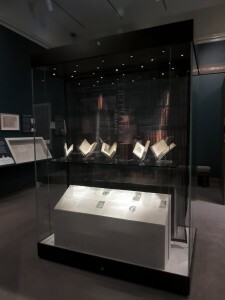 George Washington the Reader.” The exhibition celebrates the opening of the Fred W. Smith National Library for the Study of George Washington at Mt. Vernon. The book, in four volumes, was printed in London in 1750. The Watkinson owns volumes 1 & 4, which are both signed “Washington” at the head of the title-page. The books, along with 2 other titles owned (and signed) by Washington, were bought in 1883 with credit extended to Trinity College by Joseph Jesse Cooke to be used to purchase books at the sale of his library. Three sales were held in New York City on March 13, October 1, and December 3, 1883, consisting of 8,326 lots of well over 20,000 items. 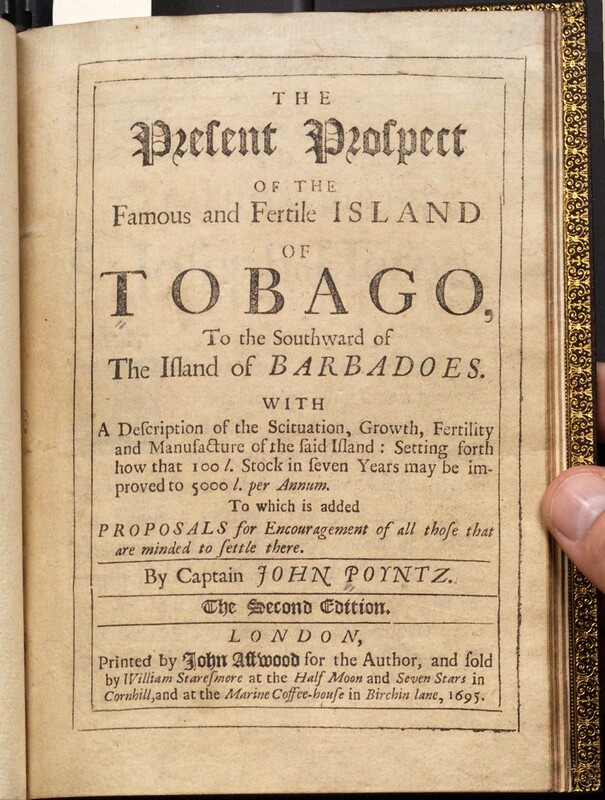 Trinity bought 1,300 volumes from the sale for a total of $5,000 (to buy the equivalent material today, if it were on the market, would require well over $6 million!). 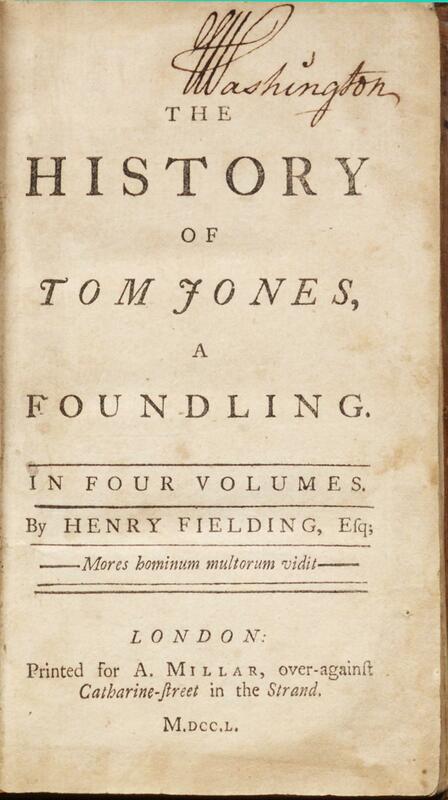 Tom Jones was from Part II, October 1883 (lot 866). The other titles owned by Washington are the 2nd edition of Considerations on criminal law by Henry Dagge (London, 1774) and William Rowley’s Rational practice of physic (London, 1793.) Rowley’s work is inscribed “To his Excellency General Washington from the author” and also has “Geo. Washington” signed on the title-page. Some of the Watkinson’s most beautiful and rare books were bought at Cooke’s sale, including several 15th c. manuscript Books of Hours, five incunabula (books printed before 1501) and numerous other early printed books. Photos provided by Sarah Wolfe, Mount Vernon Ladies’ Association. On Saturday of Family Weekend (October 5th), we held a poster sale at Vernon Social to raise awareness about (and a little money for) our intended acquisition of the first edition (1855) of Walt Whitman’s Leaves of Grass. These are original event posters from various venues in Rhode Island from the 1970s – 1990s, ranging from circuses to magic shows, musical theater, professional wrestling, boxing, and musical acts, among others. The posters were de-accessioned by another university as duplicates, and given to us without restriction. Although the actual money raised was small ($250) compared to our goal ($50,000 by December 31), we sold over 50 posters, and I spoke with many people about the Watkinson and its programs, which was an immeasurable gain. 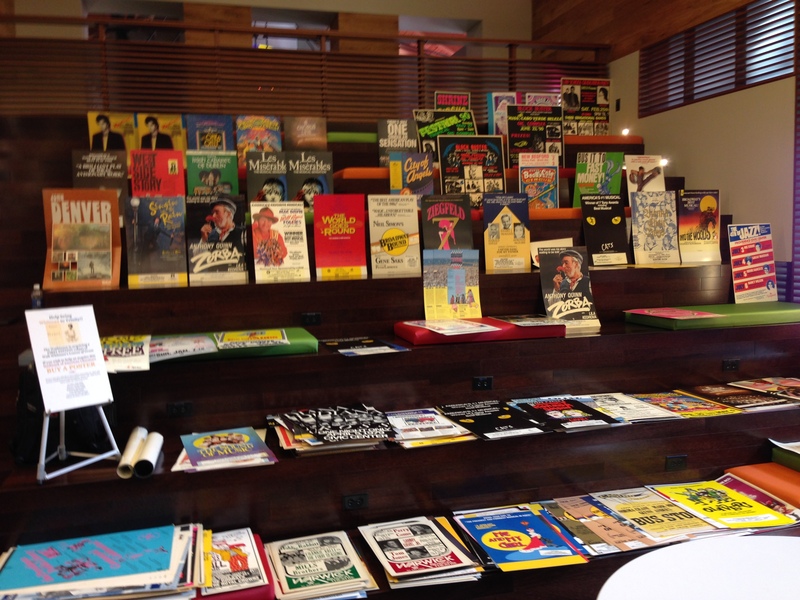 We still have over 400 posters left, available in the Watkinson until the end of the semester and on display in two racks behind the case in which the copy of Leaves of Grass we wish to acquire is displayed. If you are looking for some funky art for your dorm walls, or a funny, retro/nostalgic gift for your crazy uncle at Christmas, or just a good laugh–stop on by! You are currently browsing the The Bibliophile's Lair blog archives for October, 2013.